Woodbender’s feature chair for April is the Francis Showwood. The Francis Showwood is from our Fine Dining range and is one of our new products. 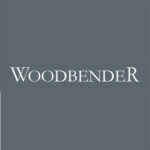 20 March, 2012 Woodbender is very proud to announce it’s new website that is being launched. The website may look similar to the previous one however there are major improvements to the functionality. You will notice that on our home page there are additional tabs. Timber finishes, Logistics and Blog.